While there have been a few cyclical periods of rising rates over the past 40 years, we've largely been in one large downtrend... meaning that it has consistently paid to own bonds vs cash** or take duration risk for nearly my / many investment lives. 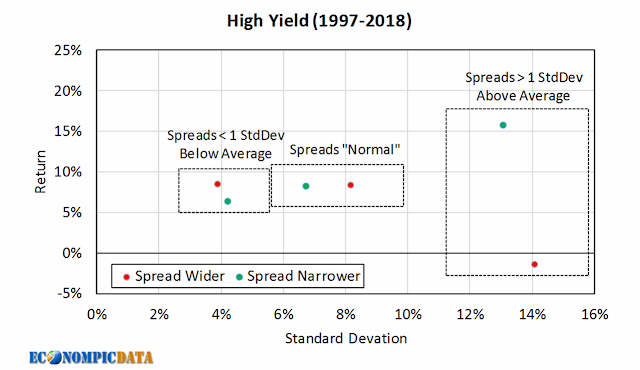 Now that we've moved away from a zero interest rate policy on cash in the U.S. and the yield curve is essentially flat, this post is an attempt to pose the question of whether it still makes sense own bonds at the same scale. Mapping the forward 10-year return of t-bills, a constant maturity 5-year Treasury bond, and a 10-year constant maturity Treasury bond against the starting yield of the 10-year Treasury, it should come as no surprise that 1) higher nominal starting yields have led to higher forward returns and given the yield curve is usually upwards sloping, that 2) longer duration bonds have generally outperformed shorter-duration bonds given their higher starting yield. 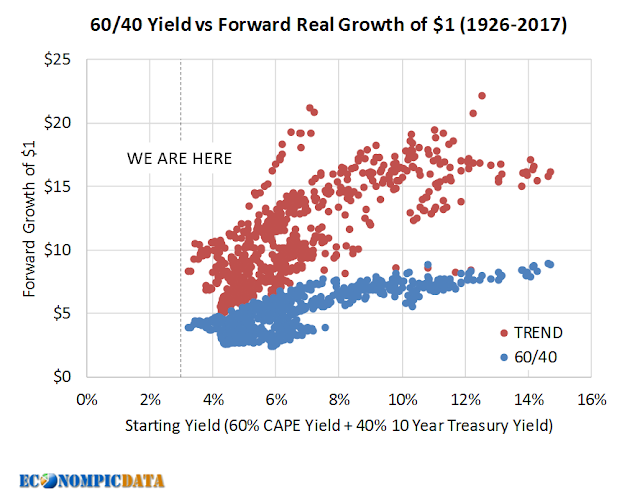 The data in the chart above may be more easily digested when the average forward returns are "bucketed" by the starting yields of less than 4%, 4-8%, and more than 8%. 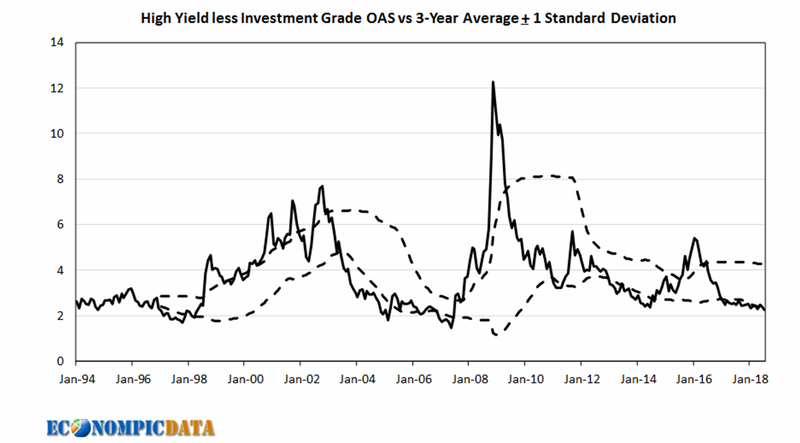 Here we can more clearly see that the benefit of bonds / duration historically occurred when rates were quite elevated. What the above chart does not account for is the relative starting yield of t-bills, the five year Treasury bond, and the 10 year Treasury bond. 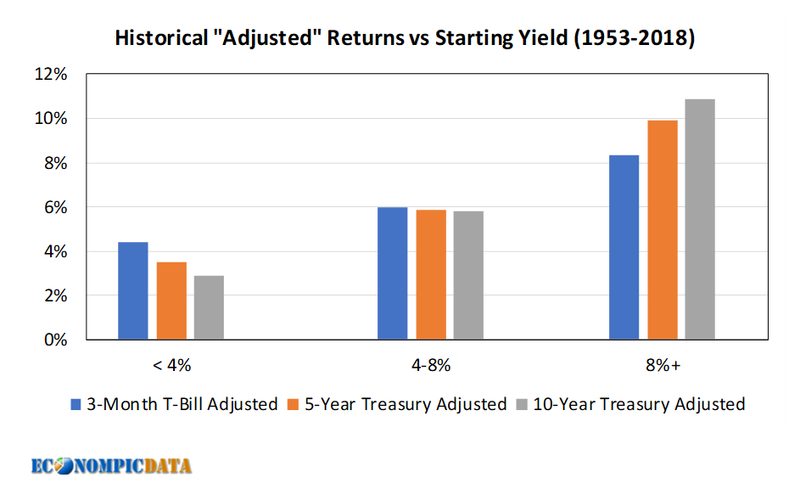 The below charts "adjust" the returns of t-bills and 5 year Treasuries to a yield equal to the starting yield of the 10 year Treasury. 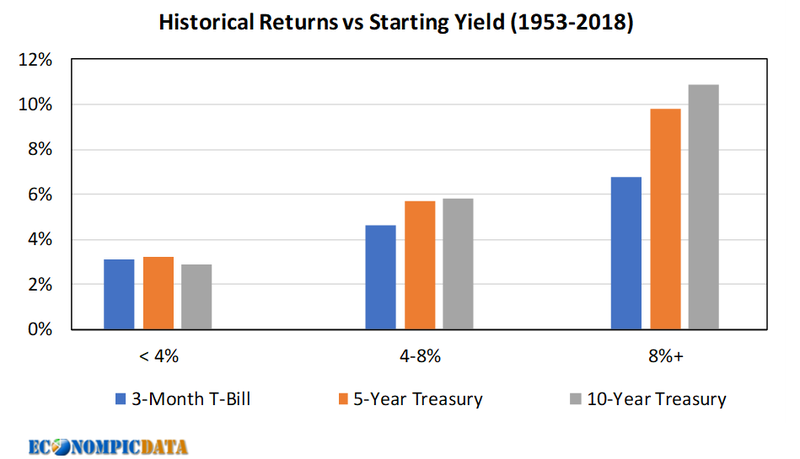 For example... if at T=0 t-bills yielded 1% and 10 year Treasuries yielded 3%, I added 2% / year to the t-bill ten year return. This is obviously inexact given it assumes the path of yield movements are identical in each situation despite the different yield levels. And again... adjusted returns bucketed by starting yield of the 10 year Treasury. 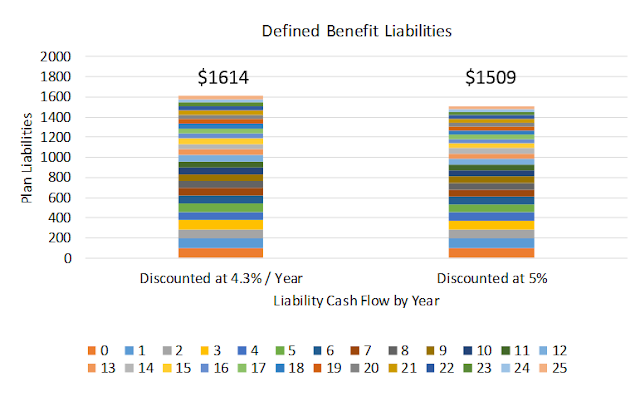 Now we can see the improved opportunity for cash / reducing duration; an investor can potentially (if history is a guide and this framework makes sense) reduce risk, while capturing similar (or potentially increased) return. For those focused on tactical asset allocation, bonds are likely to outperform cash if we enter a deflationary / disinflationary environment, while cash will likely outperform if markets continue to normalize or if there are inflationary pressures. Rather than pretend to guess which situation is more likely, I would frame it as follows... are investors being fairly compensated for the increased volatility to own bonds vs cash? With cash, you know the value will increase by the short-term rate, you just don't know what that short-term rate will be in the future. 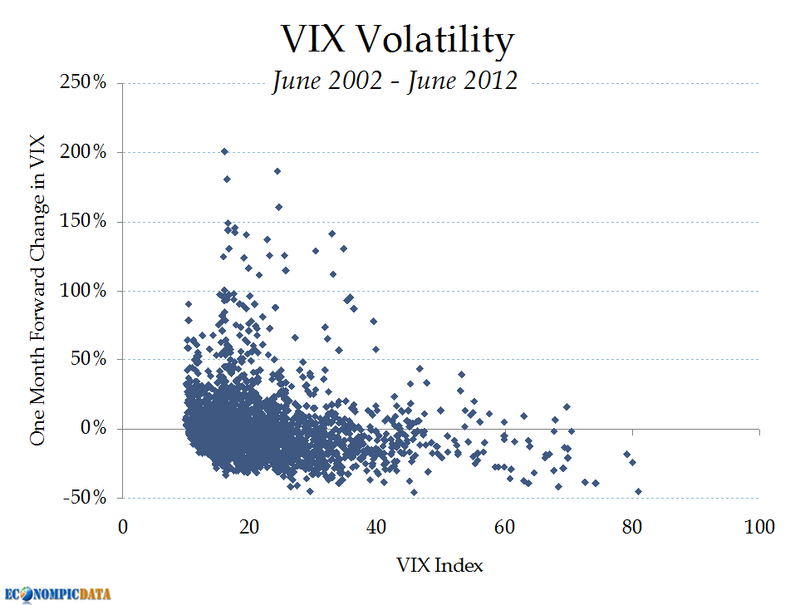 Importantly, the daily volatility of cash can be assumed to be pretty much 0% irrespective of what happens in the market. 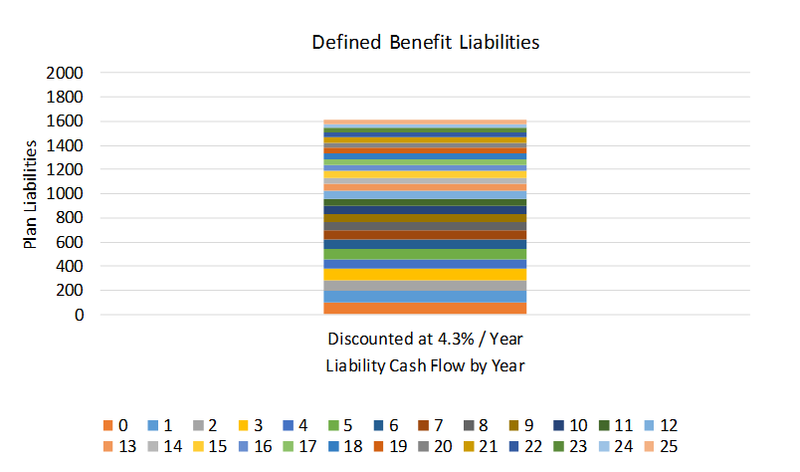 With bonds, you know roughly what that the nominal return will be, but you don't know if that return will compensate you over cash. As important, the value of bonds will fluctuate daily (historical volatility has been ~6% for 10 year Treasuries). So, while the risk of owning bonds has likely been exaggerated for longer-term holders, there is a real increased risk of ownership relative to cash. Whether it’s the risk of less proceeds available when it comes to reallocating to other opportunities / taking withdrawals or the behavioral impact of a fluctuating account value, it’s a risk. So, if you believe the return of cash / lower duration bonds will be the same (or more) than bonds, why take that risk? Lawrence Hamtil recently shared a Vanguard paper with me that was surprising given it indicated the trailing twelve month price-to-earnings ratio "TTM P/E" was nearly as strong a predictor of forward 10-year equity returns as the cyclically adjusted price-to-earnings "CAPE" ratio going back to 1926. My assumption had been that the CAPE ratio (which uses smoothed 10-year real earnings) would be the much better of the two ratios given it reflects the longer-term earnings power of companies within the index, rather than the (potentially at times) cyclical peak. While perma-bears seem to enjoy highlighting metrics (debt, rates, growth rates, etc...) that have no predictive power for either short or long-term forward equity returns, valuations themselves have mattered. 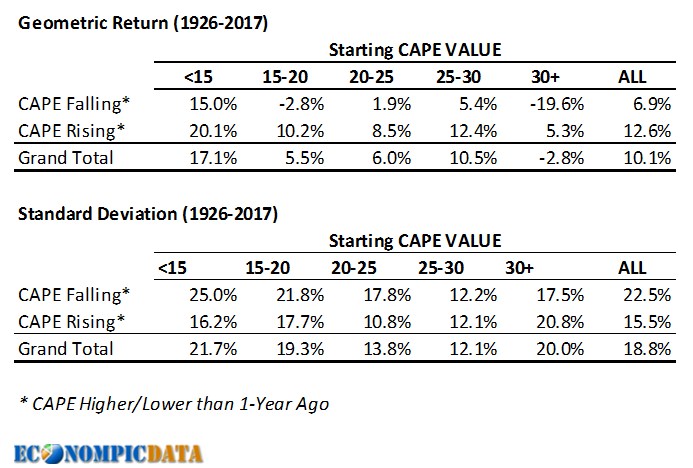 As I’ve highlighted in previous posts, higher valuations (as defined by an elevated CAPE ratio) have historically resulted in lower long-term forward returns. Vanguard replicated this result for trailing P/E, which surprised me given the backward looking / shorter-term / cyclical nature of the TTM earnings component in the denominator of the P/E ratio. 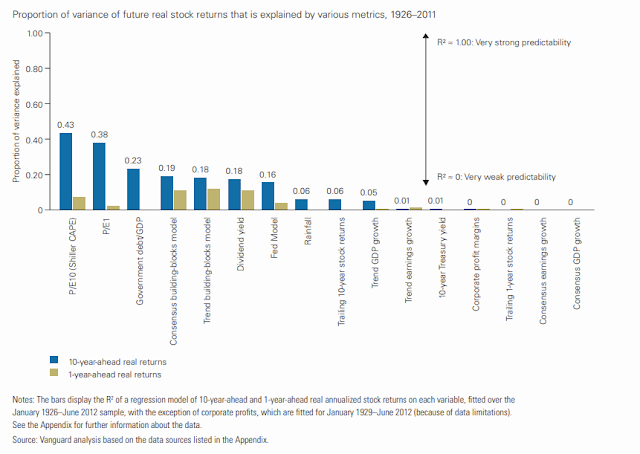 We confirm that valuation metrics such as price/earnings ratios, or P/Es, have had an inverse or mean-reverting relationship with future stock market returns, although it has only been meaningful at long horizons and, even then, P/E ratios have “explained” only about 40% of the time variation in net-of-inflation returns. Our results are similar whether or not trailing earnings are smoothed or cyclically adjusted (as is done in Robert Shiller’s popular P/E10 ratio). Given my need to replicate anything I see to personally believe, the below charts replicate this analysis with a scatter plot for each updated through May 2018 (the Vanguard piece is through 2011) using data from Shiller (the dotted line shows the ratio as of May 2018). We see both relationships remain strong, though the CAPE’s predictive power has improved quite a bit (more on that below) since 2011. The reason the CAPE shows a higher predictive power in updated results is due to the divergence of the two ratios leading up to and through the global financial crisis “GFC” when earnings collapsed, causing the TTM P/E to spike, which in turn made the US equity market seemingly more expensive as it sold off. Meanwhile the US equity market appeared quite cheap on a CAPE basis (it hit a ~30 year low), which turned out to be the correct signal. In the following chart we can see the close relationship between the two ratios following the Great Depression through late 1990’s, then the divergence seen first during and after the technology bubble (note the chart stops at 50 to show the data more clearly, but the TTM P/E spiked to 86 in October 2008). 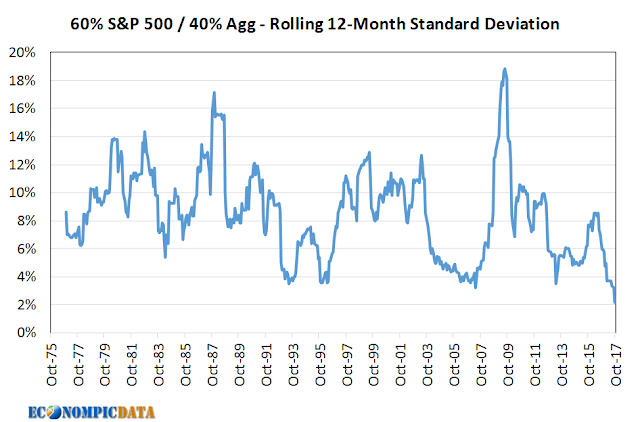 The impact of this divergence is especially clear in the rolling ten year correlation of the TTM P/E and CAPE ratios. The following chart shows the difference between the two ratios over time. We can see that for a ~60 year window following the Great Depression to the beginning stages of the Internet Bubble they moved together closely. 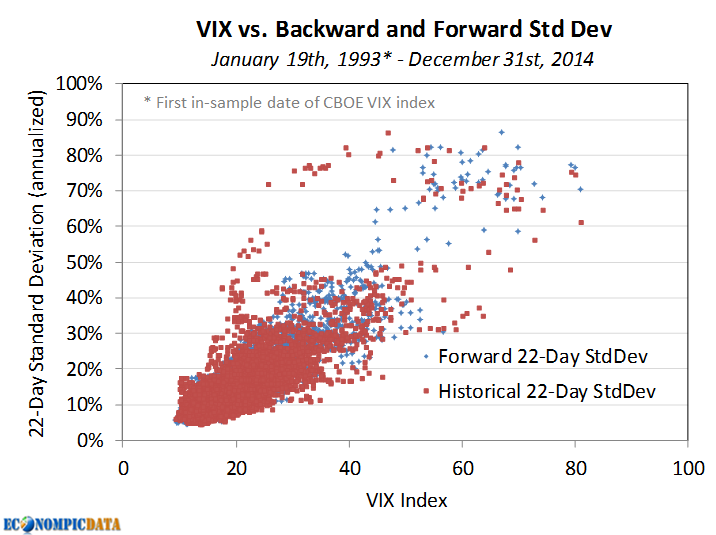 We can also see the more recent divergence. And this is where I think things get interesting and potentially less intuitive. Historically, when the CAPE was elevated (meaning markets were potentially at risk from a valuation standpoint) and the CAPE > TTM P/E (meaning recent earnings in the TTM denominator are higher than the smoothed 10-year real earnings), forward short-term performance has been just fine. 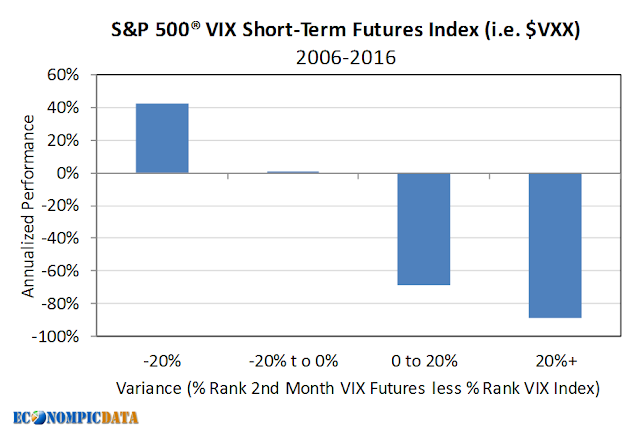 It's when the CAPE was elevated (again… meaning markets were potentially at risk from a valuation standpoint) and CAPE < TTM P/E (meaning recent earnings have lagged the smoothed 10-year real earnings) that short-term performance hasn't just been poor, but outright negative. In fact, looking back at the chart above we can see the CAPE ratio exceeded the TTM P/E by a substantial margin before the major market corrections of the Great Depression, Internet Bubble, and GFC, but when the CAPE flipped below the TTM P/E is when each sell-off really took hold. Note that in the Great Depression the US equity market continued to sell-off even after the CAPE got to seemingly attractive levels. 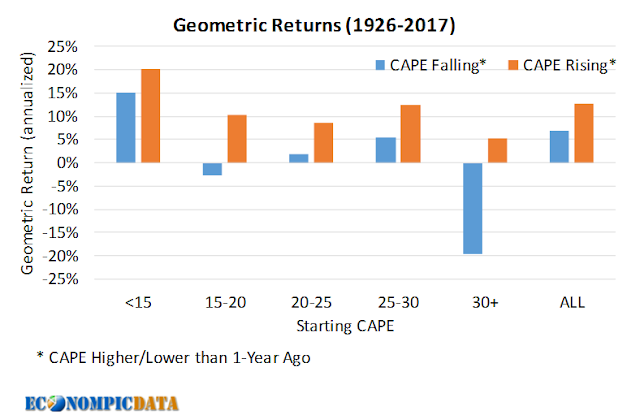 My takeaway from all of this remains that forward long-term returns are likely to be low relative to history (both CAPE and TTM P/E point to that likelihood), while the shorter-term outlook looks better. Investors tactically holding US stocks may be well served by what has historically been strong equity performance in elevated valuation environments when current earnings remain strong and/or the upward trend of the market stays intact. But buyer beware... should either earnings or the positive trend of the market shift, current valuations increase the risk that this may end up viewed as a period of calm before the storm. 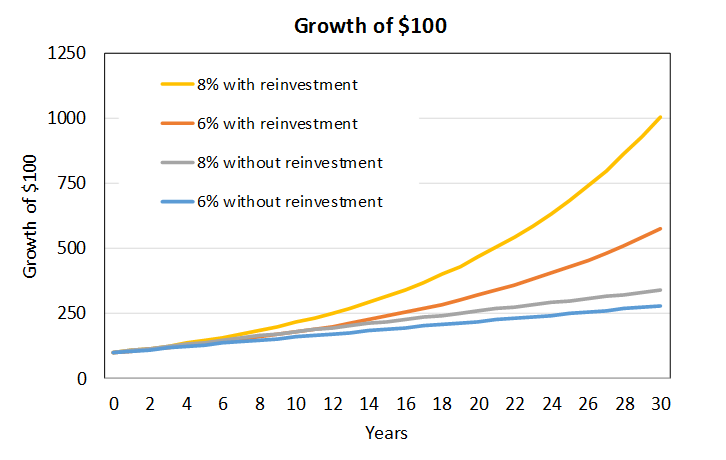 When we tell our investors to invest for the long run, we have to make sure the short run doesn’t kill them first… Investing for the long run isn’t bad advice, it’s just unrealistic. It doesn’t take into account human behavior. 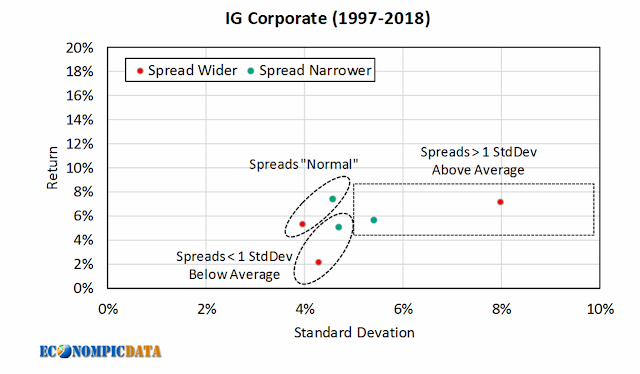 Trend following has historically provided strong long-term returns with materially reduced drawdowns relative to a traditional buy and hold investment, but none of this matters if an investor cannot stick with the strategy through periods of relative underperformance. This “opportunity cost” is often felt the most during periods when more traditional allocations outperform. The consistency of a trend following strategy’s relative performance vs a 60/40 portfolio (impacting the ability for investors to stick with trend following) is the basis of an argument that’s taken place offline (yes, I also argue offline) with a FinTwit friend who is a huge proponent of buy and hold. 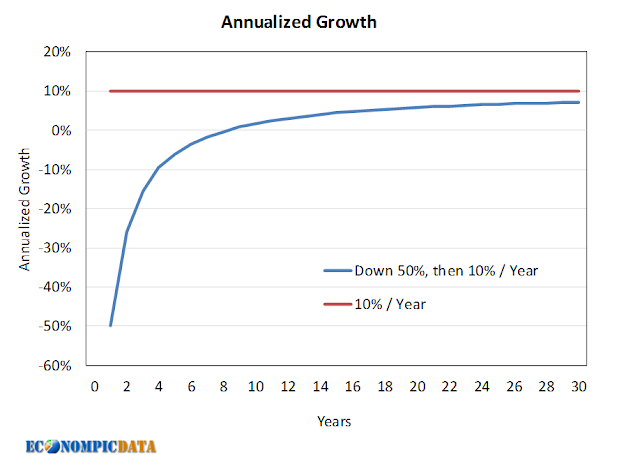 It’s progressed to the point that we’ve discussed making a mini (very mini) Buffett style bet related to whether trend following or a 60% US Stock / 40% Bond allocation will outperform over the next five years (with money going to the winner's charity of choice). Given we've hit a dead-end due to his view that the result will be a coin flip (i.e. 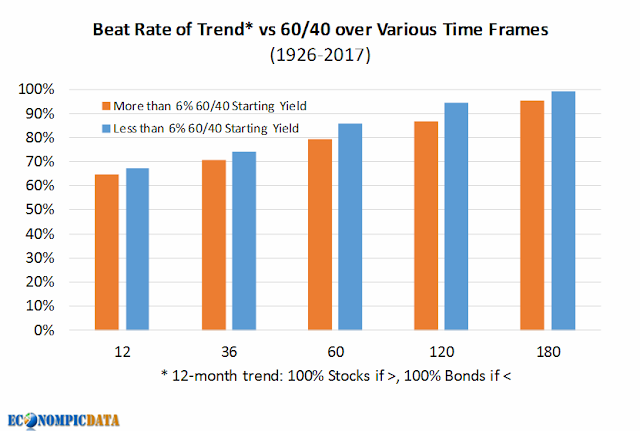 random whether trend or buy and hold outperforms, thus even if he were to lose it would be random as well), I thought I would put my case forward in this post outlining why I think trend following has a much higher probability of outperforming a 60/40 portfolio in most environments and especially in the current environment. In a nutshell, trend following is simply a means of determining if you will own an asset based on its recent price history. The diagrams below depict how those without an understanding of trend following often believe it works vs how it really works. The original image on the left is used with permission from Carl Richards and outlines how poorly behaved investors often act, while my revised version on the right outlines what trend followers attempt to do (follow Carl on Twitter @behaviorgap). Buy and hold investors seem to perceive trend followers in a similar light as these poorly behaved investors, chasing strong returns higher and selling out once markets have completely rolled over. In practice, trend following buys / sells after major turning points, thus gets back into markets once a new trend forms and holds until there is another turning point... often much later than when the investor would have otherwise preferred to sell. 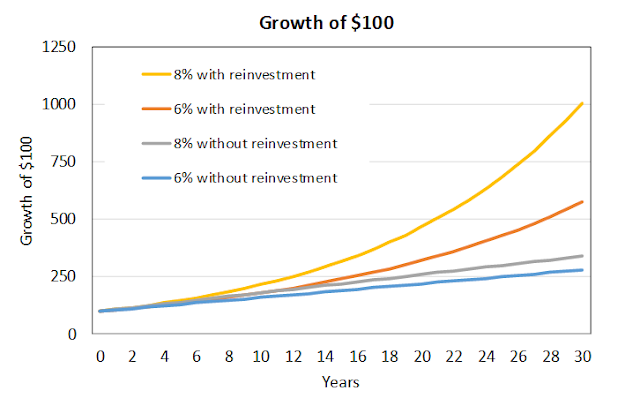 The opportunity cost of trend following is the willingness to miss initial turns and to be wrong over many intermediate periods until a new long-term trend emerges. 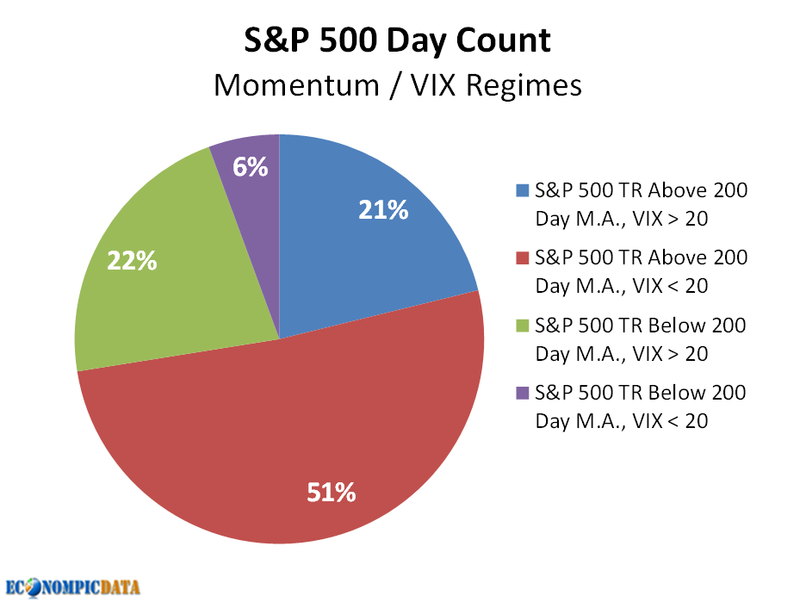 How Often Does Trend Following Outperform? As the chart below shows, trend-following outperformance has occurred at a much higher rate than a coin flip and that beat rate has increased over longer periods. 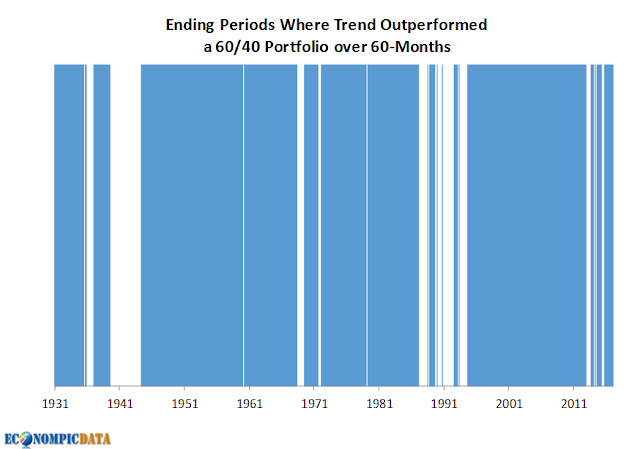 This specific 12-month trend model outperformed a 60/40 portfolio over ~80% of rolling 60-month time frames since 1926 and 90%+ of the time over 10 and 15 year periods. 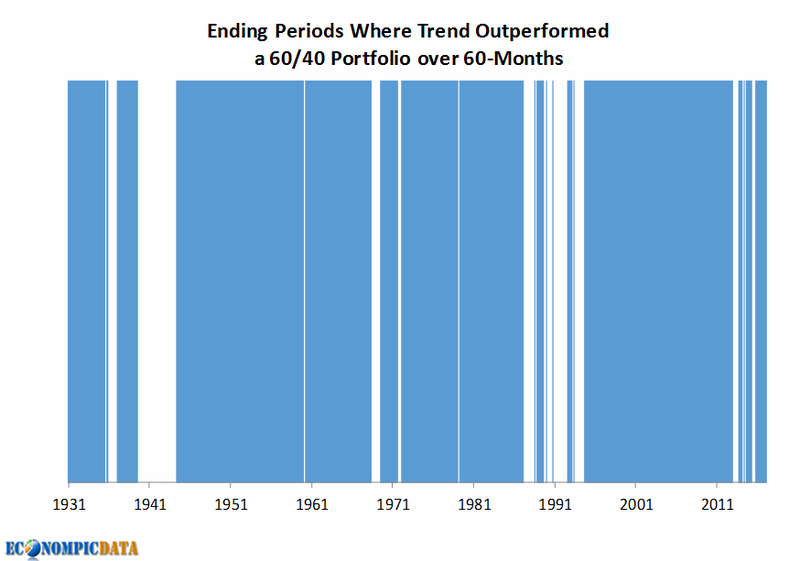 To get a better sense of when these periods of outperformance and underperformance occurred, the following chart breaks out when trend following outperformed a 60/40 portfolio (blue) and when it did not (white) over rolling 60-month time frames. 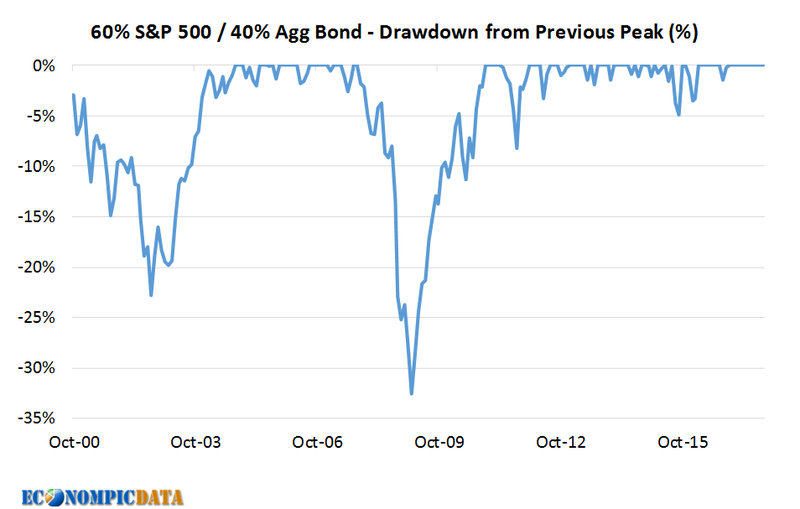 Specific to point #4, the chart below shows the historical yield of a 60/40 portfolio (i.e. what can be viewed as the likely opportunity cost of trend following). We can see that a high starting yield that compressed quickly in the mid 1930's coincided with the underperformance that took place in the late 1930's / early 1940's, while the huge yield compression of a 60/40 portfolio in the mid 1980's coincided with the challenging relative performance in the late 1980's / early 1990's. 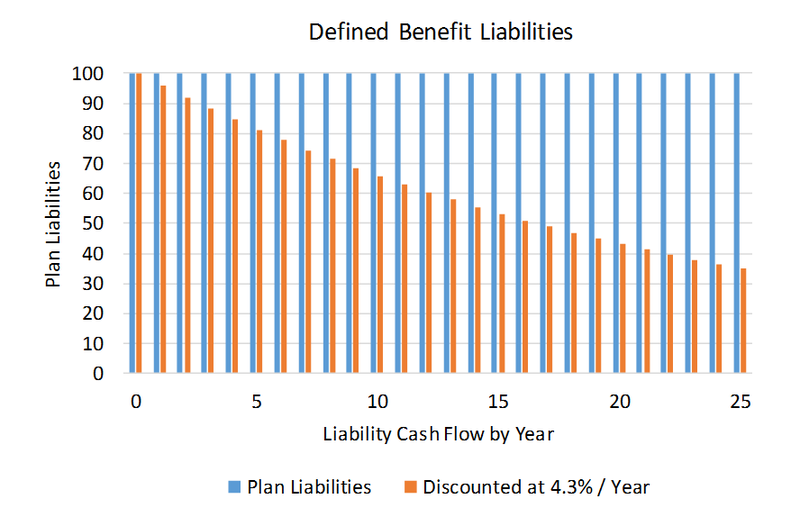 Simply put, the starting yield / opportunity cost of a 60/40 portfolio is extremely low at ~3%. Historically, when we split the universe into buckets when the starting 60/40 yield was above or below the long-term 6% average (3% higher than the current level), we can see the increased likelihood a trend following strategy outperforms at lower starting yields. In fact, the historical beat rate over rolling 5 year time frames moves up to 85%. Flip it and make trend following the benchmark and consider buy and hold. Works sometimes, doesn't work other times, but you eat massive tail risk with buy and hold, therefore isn't worth the risk/effort. 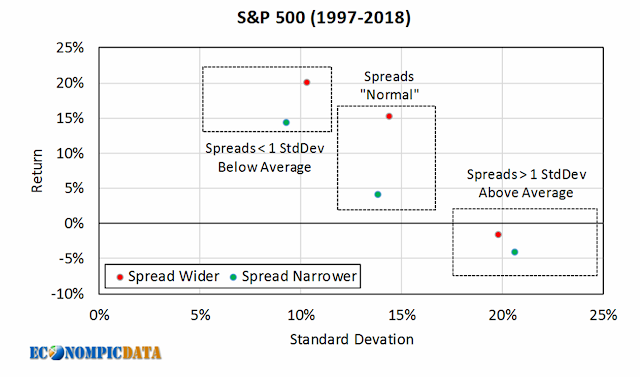 In other words, if trend following is your base allocation, would you as an investor allocate to a different strategy that underperformed at a 70%+ rate over 3-5 year rolling time frames and 90-100% of rolling 10-15 year time frames, and had materially more downside risk? Not only would I not make that allocation, I'd love to bet someone with proceeds going to charity that trend following would outperform. 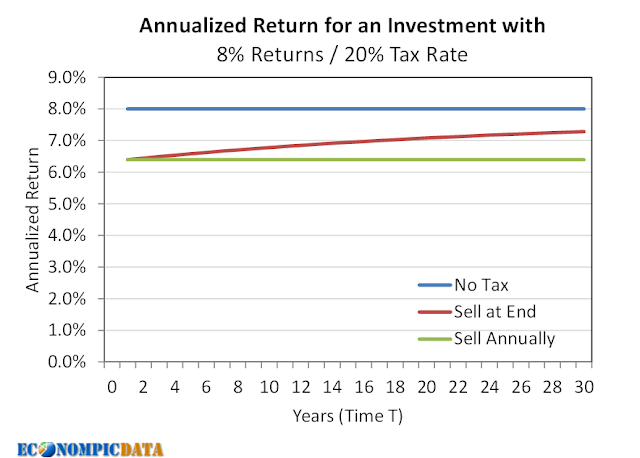 A common question that comes up related to trend following is its tax efficiency. 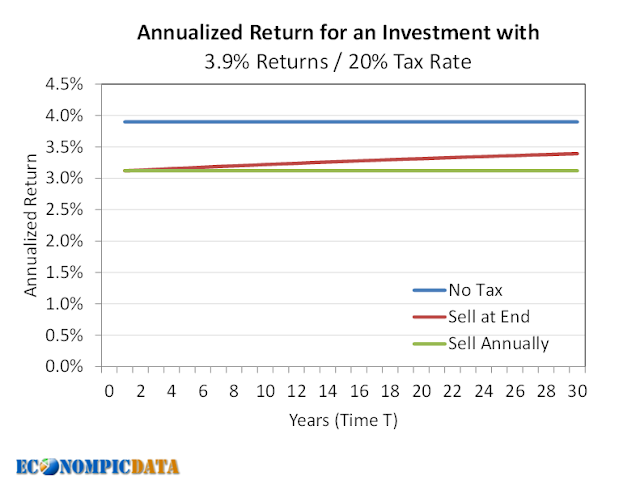 The reason I ended up ignoring the tax issue as a detriment to trend following in the analysis is that trend following may actually be more tax efficient than a buy and hold allocation that includes taxable bonds. Even with cash holdings, trend following can be tax efficient as the large gains in stocks are often held much longer than 12 months (i.e. are taxed at the long-term rate). 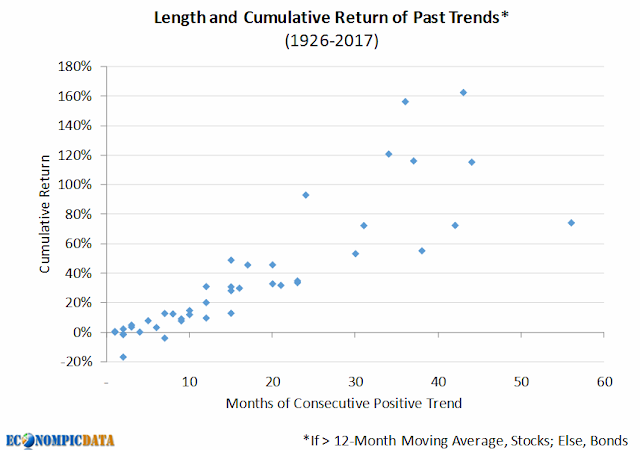 The chart below shows the length of each past isolated trend, along with the gains earned in these trends showing that significant gains were often taken years after the initial trend signal. 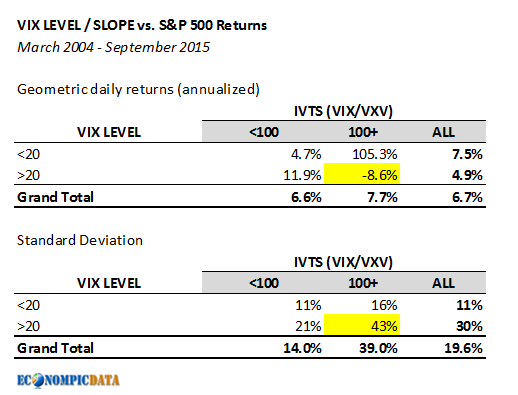 Can Time Solve the Issue of High Valuations? Recent research by GMO outlined that wide profit margins, low levels of inflation, subdued economic volatility, and low 10 year treasury rates have led to high valuations for both U.S. stocks and bonds. Yet irrespective of why valuations are high relative to history, what an investor pays for a dollar of earnings or a dollar of bond coupons directly impacts the forward return they receive. This is generally understood by investors who have accepted the likelihood that returns will be low over the next five or even ten years. What has been discussed less, or often dismissed outright by buy-and-hold long-term investors, is the similar challenge investors may face over much longer periods of time given high starting valuations. We can see the large return gap between the two investments in year 1, as well as what appears to be a narrowing of that gap over time from a 10% annualized differential in year ten to a 3% annualized differential in year thirty. 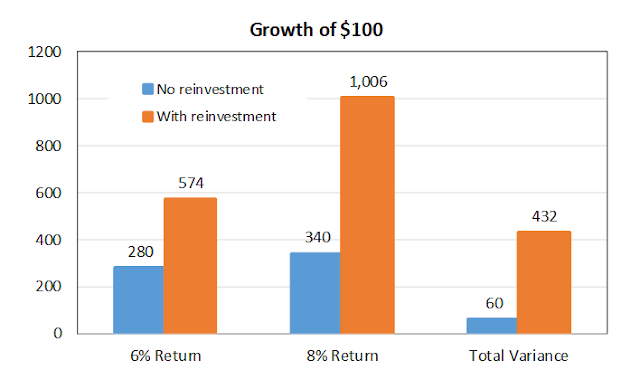 In reality, the return gap is getting larger in dollar terms as the same 10% earned each year after year one is from a much larger base for the investment that was not dragged down by the initial 50% decline. One way to view valuation of the U.S. stock market is the cyclically adjusted price to earnings “CAPE” ratio (a measure of the price an investor pays for each $1 of historical normalized earnings). 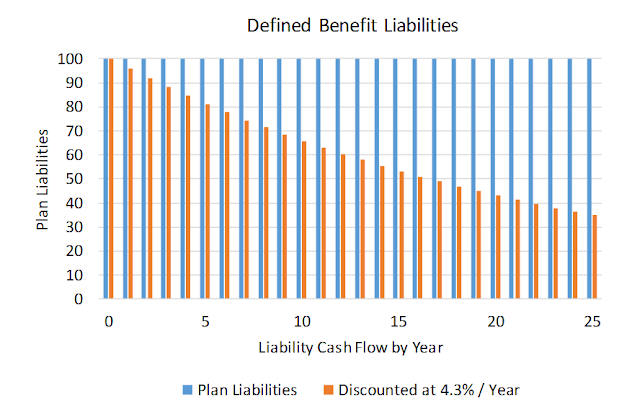 This ratio can be converted to a yield by inverting it (i.e. 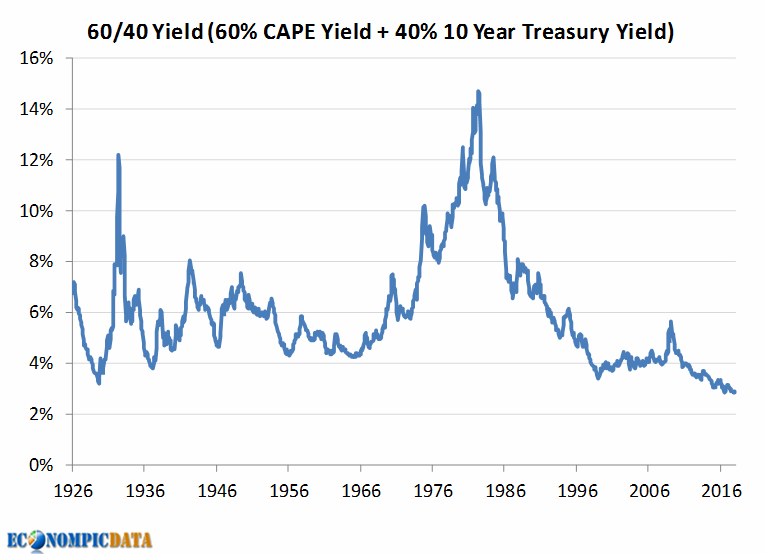 a CAPE of 30x = 1/30x or a roughly 3% yield) as a means of making it more comparable with current bond yields. We can then calculate a yield for a traditional balanced 60% stock / 40% bond portfolio “60/40”, by using the formula ‘60% CAPE yield + 40% bond yield = 60/40 yield’. 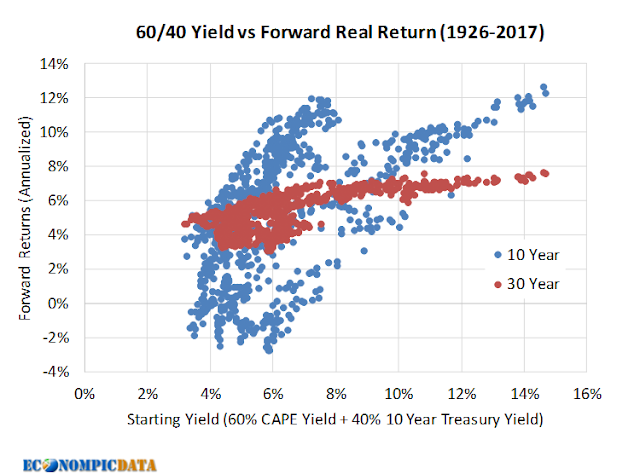 This 60/40 yield has provided strong explanatory power for forward annualized ten year real (after inflation) returns going back to 1926 (Ibbotson data inception). 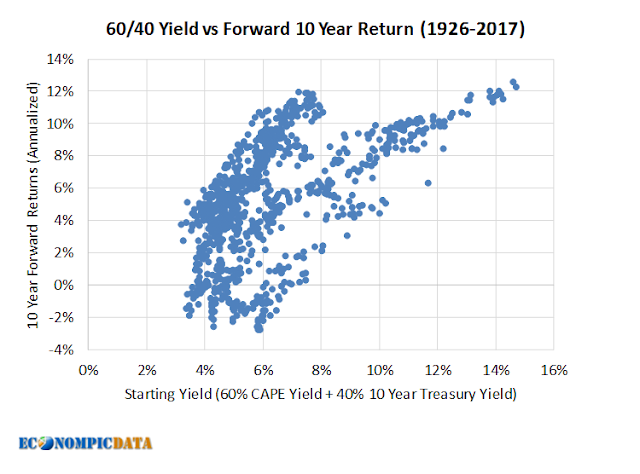 This 60/40 yield has also provided strong explanatory power for much longer 30-year forward annualized returns. 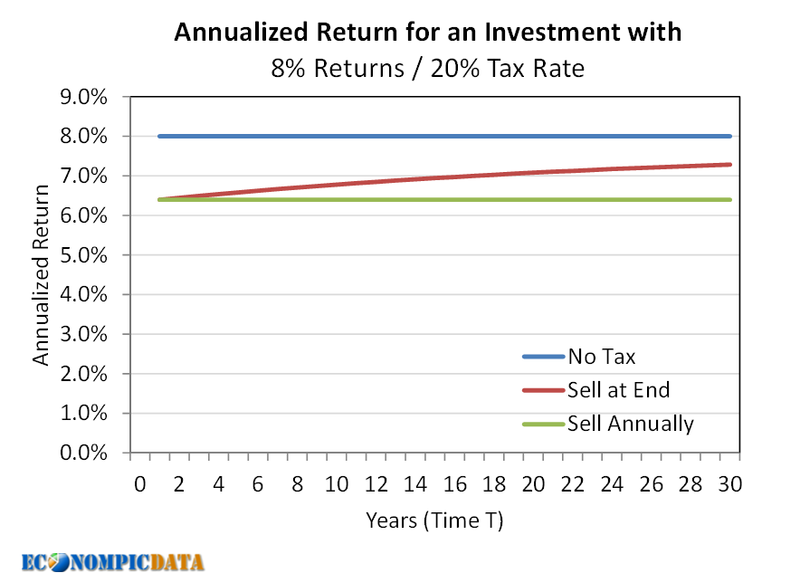 The issue is annualized returns makes it appear that the range of outcomes, relative to starting valuations, narrows over longer periods of time, an argument commonly used by buy-and-hold investors. 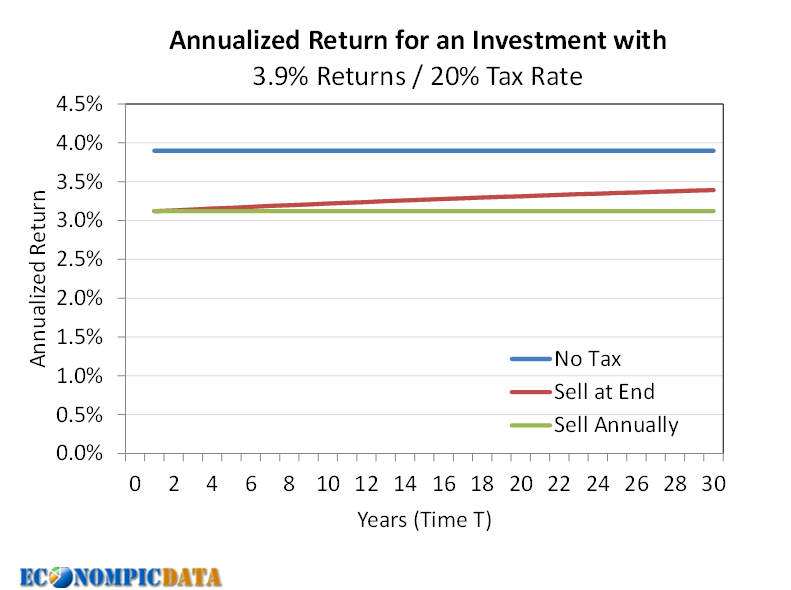 In reality, the comparison of annualized returns over different time frames masks the compounding effect of these seemingly small return differences. 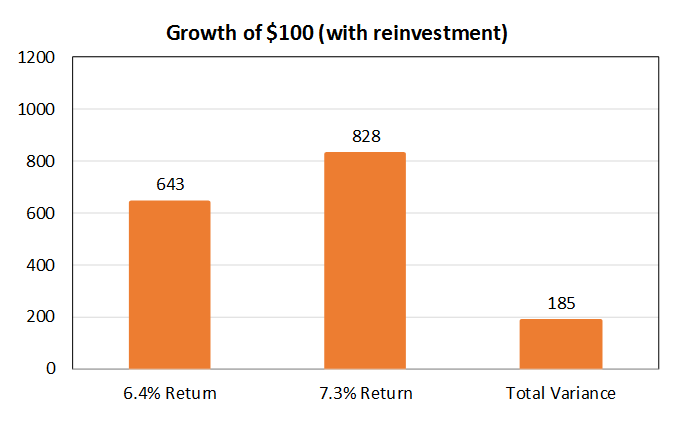 The following chart removes this effect by showing the real growth of $1 for each these starting valuations over 10 and 30 years instead of annualized returns. We can clearly see that the gap in dollar terms widens significantly over longer periods, as the compounding effect has more time to work its magic. 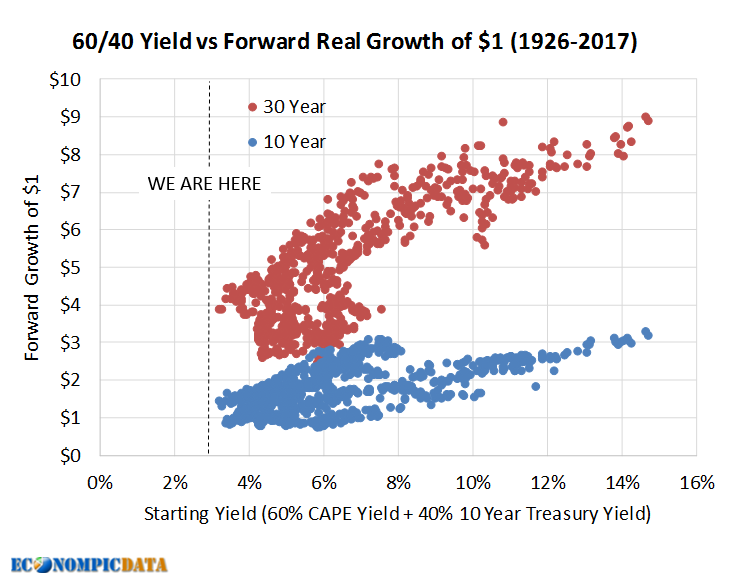 The “we are here” line in this chart highlights how extreme current stock and bond valuations are relative to history, creating an environment where time itself may not be a solution to the valuation challenge. Given this simple trend following model can never result in monthly outperformance vs the S&P 500 when the market is up, as the most it can own is 100% stocks, it will underperform during most bull markets relative to the S&P 500. 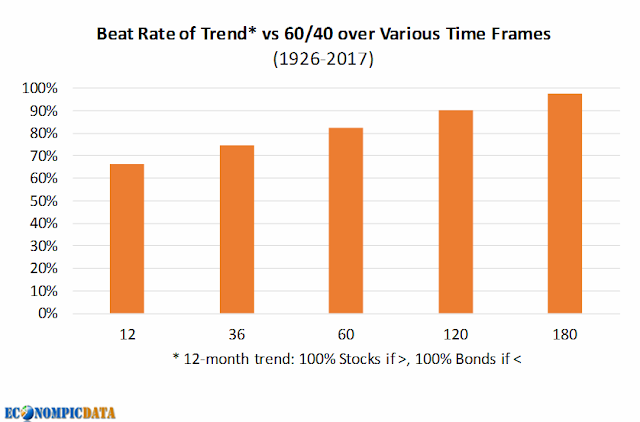 However, it may still outperform a 60/40 portfolio in these environments as it is not weighed down by an allocation to bonds. 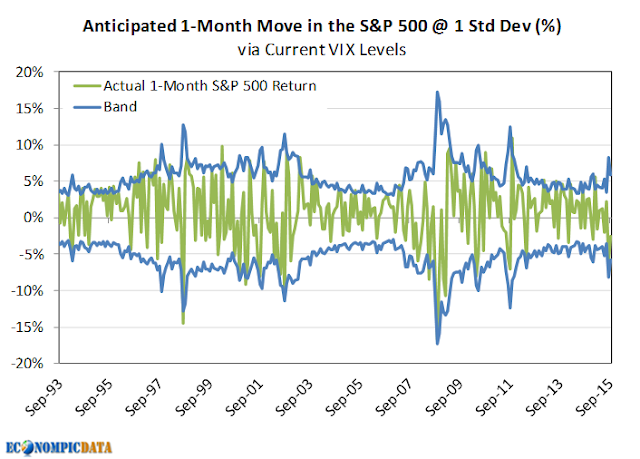 Conversely, the strategy will outperform the S&P 500 in down markets over time and, importantly, it has the potential to side step a major market correction that impairs the compounding effect that has historically impacted long-term returns when valuations have been elevated (more on why trend / momentum works here). The below chart updates the 30 year real growth of $1 with returns for this basic trend following strategy, comparing the returns generated to the original 60/40 buy-and-hold portfolio over similar periods. 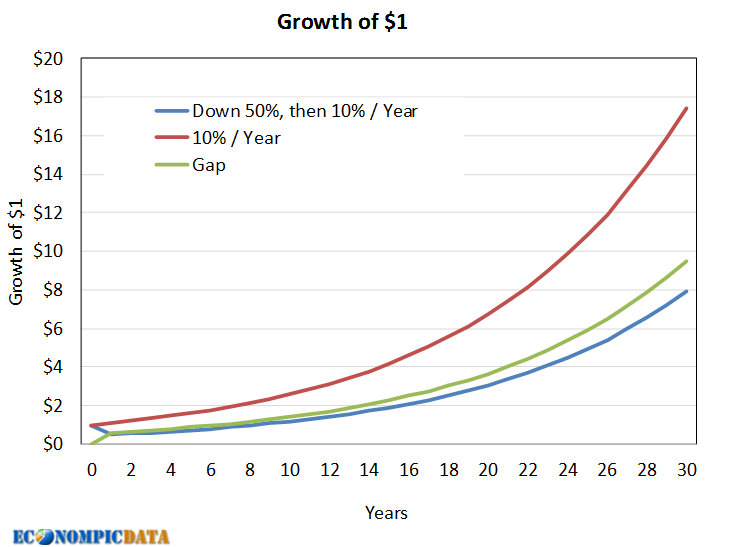 While there are still material differences in the historical growth of $1 depending on the starting valuation, the trend following strategy generated dollar growth that was consistently higher than that of a 60/40 strategy and produced returns that were higher even at low starting yields than that of a 60/40 portfolio at much higher starting yield levels. Buy and hold strategies work best when stocks and/or bonds are cheap. 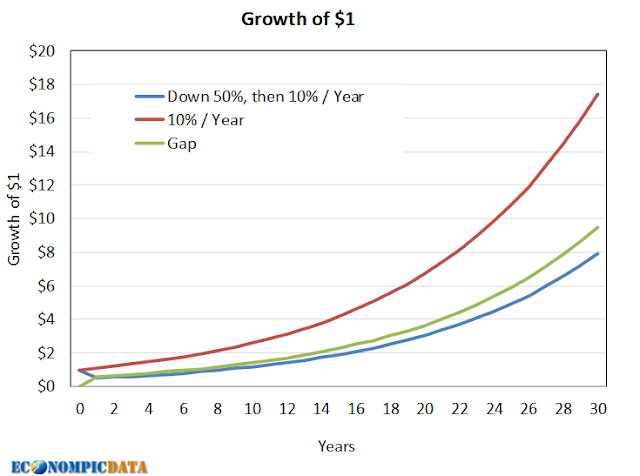 When valuations are extended and starting yields are low, an investor should look to allocate to cheaper areas of the global market, rethink the value proposition of active management, and/or be prepared to reduce stock market exposure if profit margins, inflation, volatility of GDP, or 10 year treasury rates (that pushed valuations higher) reverse course. Stock and bond markets have been extraordinarily quiet since February 2016 lows. How quiet? A 60/40 portfolio consisting of the S&P 500 and the Bloomberg Barclays Aggregate Bond Index has a 12-month standard deviation of (wait for it)… 2.2% ending October 2017. This is the lowest period of volatility since the inception of the aggregate bond index back in 1976. 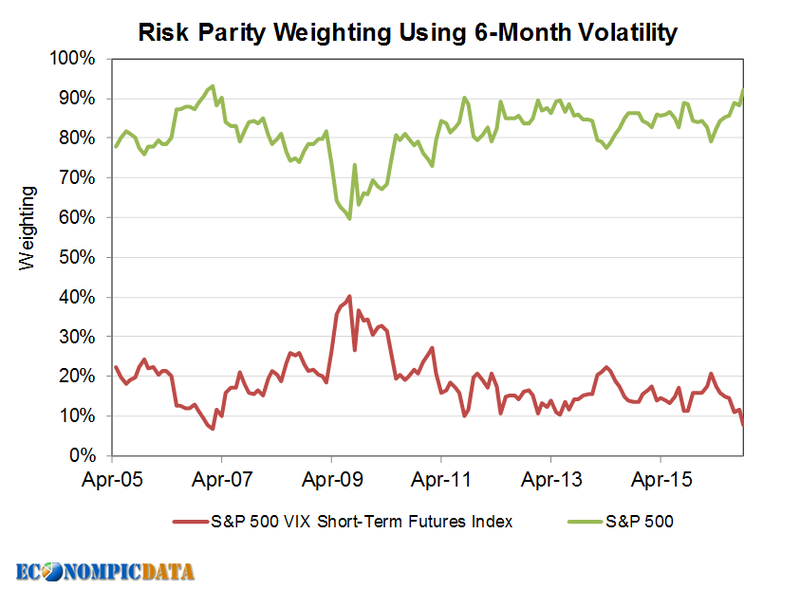 My own behavior has been impacted by just how boring markets have been, as I’ve slowly seen my own risk tolerance ramp up. 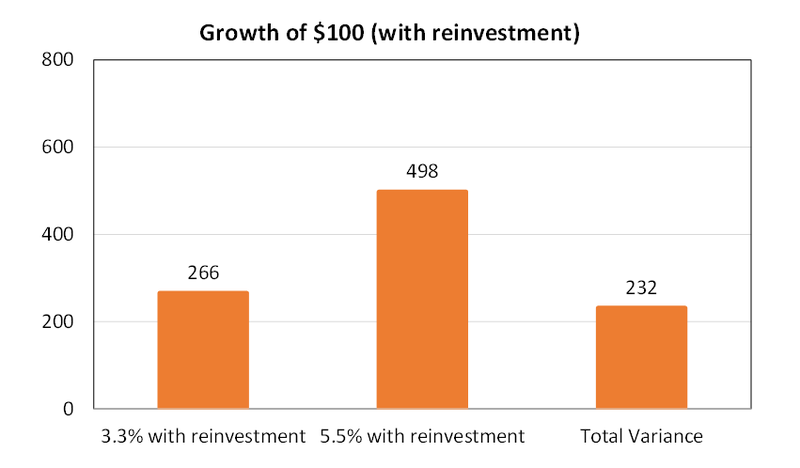 In addition to thinking that I really need to rebalance, I’ve been thinking about the consequences of a world in which many investors haven’t experienced a material drawdown in many years / potentially in their entire investment lifetime. For those of us that are relatively young, even if we've lived through the 2000-01 dot com bust or the 2008-09 global financial crisis, it’s likely many of us haven’t experienced any material loss of wealth. Let me explain with an example…. 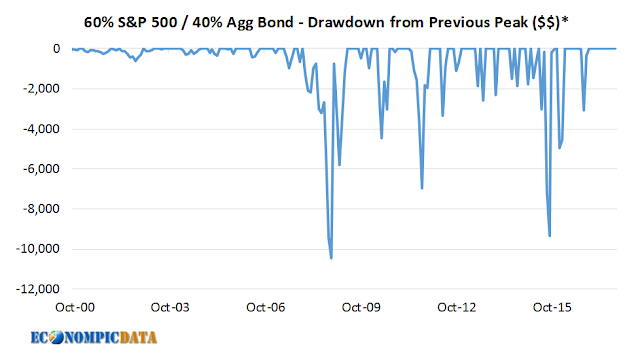 I graduated from college in May 2000, thus the below drawdowns are what I would have experienced in a 60/40 portfolio since I started my working career. A well weathered investor I must be having faced two of the largest drawdowns in US history? Well... let’s take a look at this return history from a different perspective. Rather than in percent terms, let’s look at the drawdown in dollar terms assuming an investor put $1000 in the market at time = 0 and added an incremental $1000 more than the previous year... each year (i.e. $1000 at time = 0, $2000 at T + 1, $3000 at T +3, etc…). We can see from the above chart that the 2000-02 downturn may have seemed painful, but may as well not have existed in terms of consequence to an investor this early in their wealth accumulation (not to mention this investor was much less likely to have the stress of providing for a family). Even the 2008/09 downturn was quite minor in the grand scheme of things, matching the dollar drawdown of the tiny 5% drawdown experienced in late 2015. In addition, during the early stages of wealth accumulation, the ability for contributions to materially make up for market declines helps with the mental issue of otherwise seeing the value in your investment account fall (i.e. $10k is a huge contribution when your balance is $50k, $20k is much less so when your balance is $300k). And where do many of us sit now? For those of us fortunate to have accrued wealth over the last 10-20 years, we should anticipate a high likelihood of experiencing the largest dollar downturn of our lives at some point in the near future. 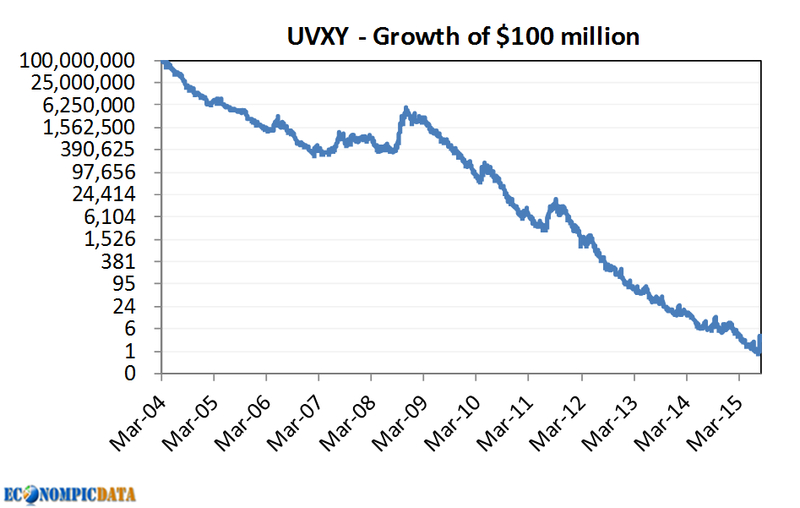 In fact, in the scenario outlined above, a 15% drawdown from here would result in a loss ~4x larger than that experienced during the global financial crisis. We have a lot of market participants (myself included) that have never experienced any real turmoil and poor behavior always follows.